Flood insurance is essential for home owners in many parts of the country. Unfortunately, private sector insurance companies seldom offer this type of home protection because the risk is too high. Those that do offer flood insurance charge high premiums. This is why the Federal government has offered this type of insurance to home owners at below market prices; otherwise, it would not be affordable to many people. The problem is that this type of insurance system is not economically sustainable because of limited resources from the Federal government. In some areas of the country, it is essential for property owners to have flood insurance. This can be plainly seen in the state of Florida which is subjected to tropical storms and hurricanes of a wide range of strengths. Without flood insurance, a family can be wiped out financially. It is estimated that 37 percent of all flood insurance policies are provided to residents of Florida, so in order to get a handle on the problem, it is Florida that needs to begin the work to have the private sector take over from the government. At the federal level, the long term solution is to raise rates on policies over time, so that the private sector can become competitive. Congress continues to drag its feet on the issue, and it is the state of Florida that is attempting to make Federal flood insurance more expensive to help private sector insurance companies make flood insurance profitable. Because Florida is so involved in the issue of flood insurance, the state legislature is attempting to create a long-term solution to the problem. The recent example of SB542 is a good example of this. It will attempt to move flood insurance into a free market while protecting consumers at the same time. It is believed that this bill will attract insurance companies into the market. In time, competition will help bring down the cost of these policies as well as consumer awareness of what they can do to keep flood damage to a minimum. Lower insurance rates will be the primary motivation for this. Obviously, when a storm is strong enough, there is nothing you can do to prevent flooding. However, there are situations where the weather is not strong enough to flood your home if precautions have been taken. Examples of this are using flood-proof doors and windows. Using water-proof sealant on the exterior walls can help a lot as can using a sealant on floors. Doors can be raised to keep out water as well. These are only a few ideas, and most of them deal with keeping out shallow water. Additional steps can be taken when it appears that there will be floods. Sandbags are a standard item to fight flooding at this point. 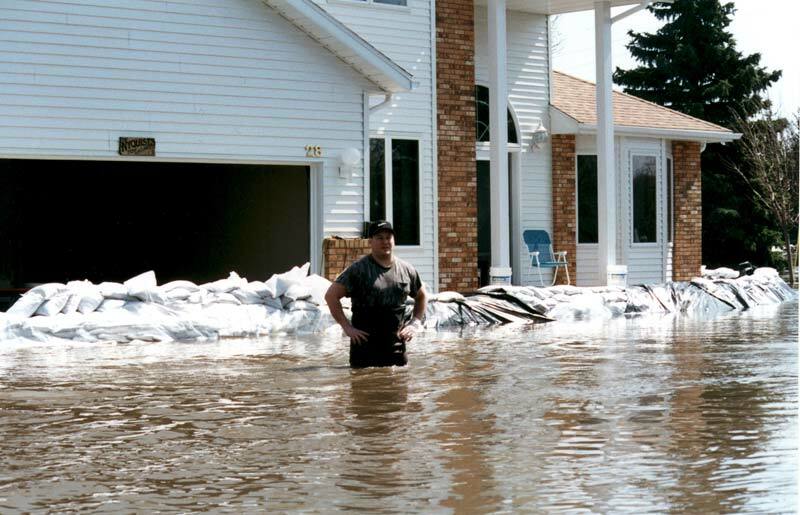 Once the storm has passed and it appears as if you have experienced a significant amount of flooding, you need to call a professional company to help extract any water that has accumulated in your home. This same company will also be able to help with water damage repair and the restoration of your home.